Split your CO2 supply from one source to five outputs. 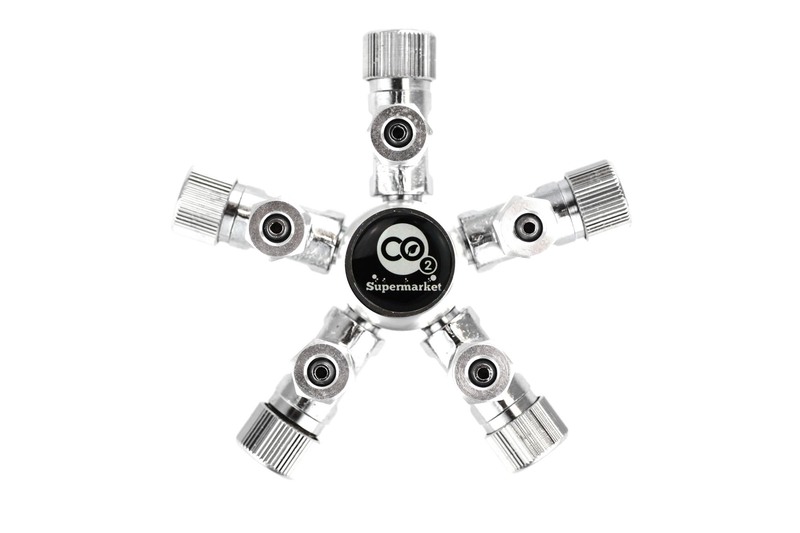 Using a splitter on your regulator you can split a single CO2 source to five separate outputs. For example, if you need to power multiple diffusers or have more than one aquarium.